Join Bizagi and Innovelocity as we discuss the essential characteristics of a digital business platform. - What is a digital business platform? 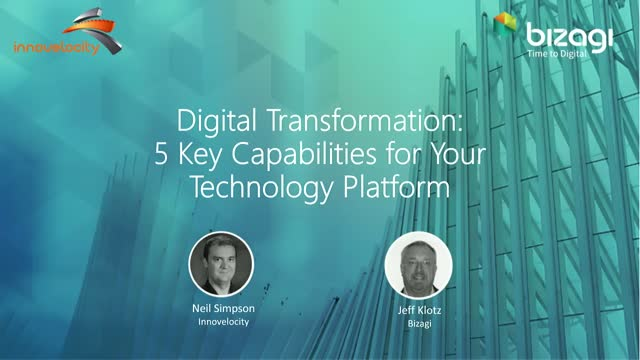 - How does a digital business platform accelerate your transformation journey? Who should attend: Digital Technology Leaders, Application Development Leaders, IT and Business Process Professionals.